Fueled by big expectations for increased Wi-Fi performance, the excitement building around Wave 2 of 802.11ac comes as no surprise. But is it just more technology hype or will Wave 2 provide quantifiable business benefits that are ripe for the picking? 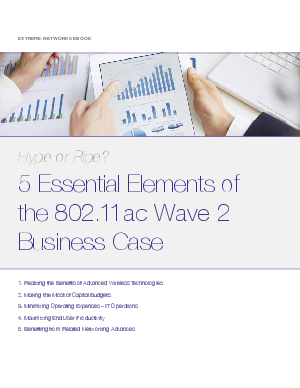 After reading this eBook, not only will you be the knowledgeable voice in the room, but also well equipped to justify your upgrade to the 802.11ac Wave 2 standard.